Once you have completed and sent the generated e-mail, the recruitment team will withdraw your application. You will receive an e-mail confirmation when this has been actioned. You will create an account with us during the application process. After searching, click the 'Apply' button against your chosen vacancy. Click the 'Save Draft' button. If you haven't started completing the application form then this will only create your account. If you have started completing the application form this will create your account and save your application form. Congratulations on being offered an interview. Below is a list of available appointment times for interview. To select an interview appointment time click &apos;Book now&apos;. You can manage your appointment time up until the interview booking closing date. Once you have selected your interview appointment time we will e-mail you to confirm your booking. If you are unable to find an suitable appointment time please get in touch with us using the contact details provided below. Wakefield Council adheres to strict standards in respect of pre-employment checks. We must complete these checks to a satisfactory standard before we can confirm any offer of employment. Evidence to support your DBS application (if applicable to the job). Click here for documents you need to bring for a criminal records check. Please note that for unsuccessful candidates all copies of documents will be confidentially destroyed following the recruitment decision. If you are not sure what you need to bring with you please do not hesitate to contact hrdirect@wakefield.gov.uk for advice. Should you have any special requirements for the interview that you would like to be considered in relation to the Equality Act 2010 please inform us as soon as possible so that the necessary arrangements can be put in place. Competency based interview – Focusing on skills and personal qualities. Technical interview – Evidencing technical knowledge usually in the form of a test/exercise. Face to Face – Discussion in person with the employer. Panel interview – A minimum of 3 interviewers asking a series of questions. Telephone or online – This is usually the first stage of an interview process. Assessment Day – Half or full day session consisting of a range of interview panels and tests/exercises to complete. The format of an interview will be made known to you in advance. Preparing for an interview is very important. Revisit your application form; review the job specification to recap on the main tasks and skills of the role. 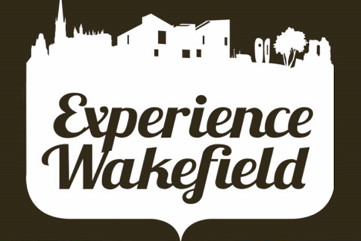 Research Wakefield Council and the service area you are applying for. This will help provide you with some insight into current headlines and key priorities. Prepare answers to possible questions by ensuring you have an example to substantiate your response. Don’t forgot to sell yourself and think carefully about what strengths you can bring to the role. The interview also provides you with the opportunity to find out more about the Council, the service and the role. Think about questions you may want to ask the interviewer. Remember, the interview is as much about you gaining a feel for the organisation and role as for the interviewer to find out more about what skills and attributes you can bring to the role. When answering questions please take your time to think carefully about your answer, make sure you really understand it. If you are unclear you may ask the interviewer to rephrase the question. Think about how you can differentiate yourself from other candidates – Why should you be hired? What skills, experience, knowledge and creativity can you bring to the role? Try to speak clearly and avoid giving ‘yes’ or ‘no’ answers. Examples of when you have used a particular skill should be provided to help firm up your answer. Make good use of the STAR technique – talk about the Situation, Task, what Action you took, and the Result. Be honest and open with your responses. Remain positive and enthusiastic throughout your interview. Do not lose your spirits even if you cannot answer a question or you feel you have done it badly. It could be a tough question for any candidate. It is more important to get your concentration back and focus on the next question. Towards the end of an interview, you are usually asked whether you have any questions. Take the opportunity to ask questions you have prepared beforehand to seek clarity and reassure yourself that you have all information needed to made a firm decision should you be successfully at interview. If you are travelling by car please click here to view our car parks. Please note that charges apply. 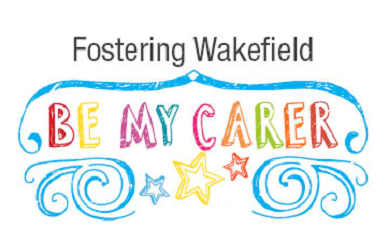 Wakefield Council is a great place to work, committed to our people and have lots to offer you throughout your employment with us. '+ 'For the best possible experience and to enable you to save your application form progress please log in BEFORE starting your application. '+ 'You now need to create an account so that your application form progress can be saved. We are looking to appoint a Lunchtime Supervisor, to start in post as soon as possible, to join our staff team to supervise the children at lunchtimes. To be responsible for the safety, care and well-being of the pupils at lunchtimes. * To encourage and motivate all pupils to be physically active and enjoy their lunchtimes. * You will need to have excellent interpersonal skills, care and patience and be professional and aware of confidentiality at all times. * An ability to be firm but fair, managing behaviour positively. To promote a calm lunchtime experience for all children. * To be a good team player. Interviews will take place the week beginning 1st April 2019. Informal visits to the school are warmly welcomed. Please contact the school on 01924 302965 if you would like to arrange a visit and meet the Headteacher. Horbury St Peter's and Clifton CE (VC) Primary School is committed to safeguarding and promoting the welfare of children and young people and expects staff to share this commitment. The successful applicants will be required to complete an enhanced Disclosure and Barring Service (DBS) check.